18 things he'll know you want--after some gentle nudging. Because no bar cart would be complete without a set of these gold-finished stunners. For the wall in need of a refresh, we’re all for this captivating print. An interchangeable leather clutch and crossbody bag that’s styled to perfection with a playful fringe. Your vanity needs this. We know it. You know it. They’ve been on your Pinterest board for long enough. 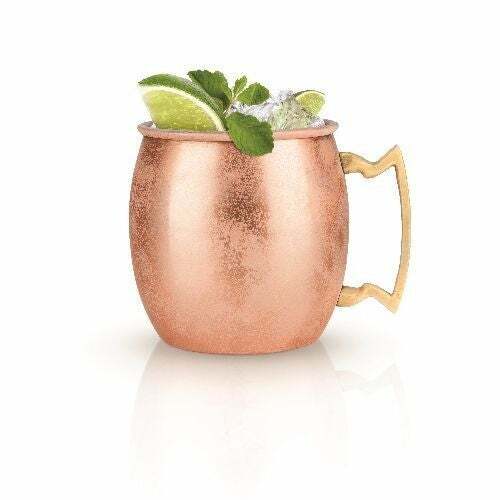 These copper cast stunners definitely deserve a spot on your bar cart. A clarifying mask with blue tansy oil, fruit enzymes, and white willow bark, to complete the most refreshing at-home spa day. Ever. He’s got to get the hint one way or another. This solid brass bumper is about as chic as an iPhone case could possibly get. A silky tassel topped gold finished box for all your treasured trinkets. Laundry day just became our new favorite. Santal 33-scented bed linens? We can’t think of anything more heavenly. A stylish essential, so that you’ll never leave your keys in an Uber again. We hope. Whether it’s for the gym or groceries (or lugging your laptop to and from work), this natural hand-dyed tote is just the thing. An effortlessly chic piece with just a touch of glitz and plenty of style. The perfect set for this year’s Christmas Eve pajama exchange. Consider this your go-to shade for the winter. The perfect addition to your go-to holiday getup. Picture this: sunny mornings at the beach, riding along the coast on this all-white two-wheeler. Yep, we’d want one too. Photography by Future Glory Co. Inspired shade aside, this stunning Horween leather bag seamlessly translates from day to night.